This fall, Buffalo State launches a new master’s program in public relations, an expansion of an existing four-course public relations sequence in the college’s multidisciplinary master’s degree program. The deadline for applying is August 15; classes start August 29. The new program offers year-round evening courses for the convenience of students who are working full-time. Writing skills are emphasized. “It’s the most important skill for public relations professionals, according to many employer surveys,” said Silverman. An internship is required, ensuring that all graduates have first-hand experience in strategic planning as well as practice. 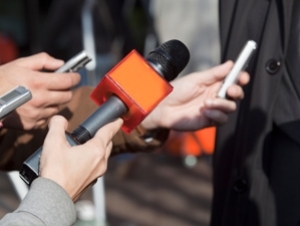 Today’s public relations professionals have a broad array of career options that include writing content for social media and managing crisis communication as well as writing the ubiquitous press release. More and more organizations are publishing their own news online, and job opportunities exist in the public, private, and nonprofit sectors. Silverman served on the national Commission on Public Relations Education in 2012, when the commission issued standards for graduate education in public relations. “Our new program meets those standards,” she said. She is also 2016 national treasurer of the Public Relations Society of America (PRSA), where she has served on the board of directors and as chair of PRSA’s Board of Ethics and Professional Standards. “Because PR professionals are an increasingly important source of information to the public, and because transparency is crucial for an organization’s success, it is imperative that PR practitioners hold themselves to high ethical standards,” she said.